Sighisoara is a medieval town in Transylvania, Romania. It is a stunning sight for those who make the trip to visit the small remote town. It exists on raised cobblestone streets and has retained many of its medieval buildings and charm. 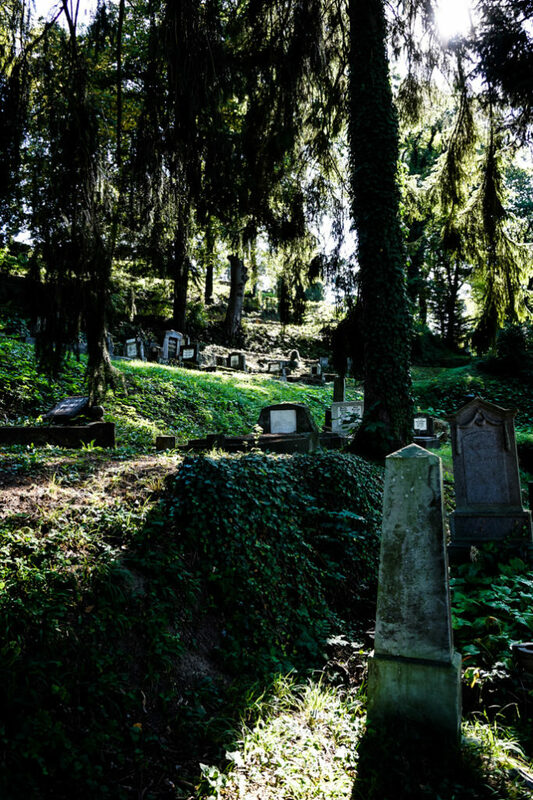 The spooky overgrown cemetery of Sighisoara. 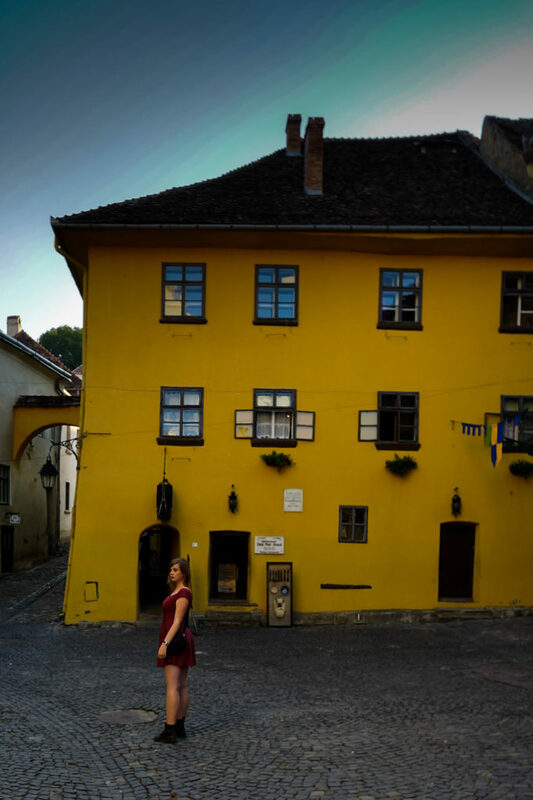 Though Sighisoara is a pristine and beautiful place, it does have a darker side that many do not know about. This quaint little village has faced plague, fire and is even considered to be the home of the notorious Vlad Tepes or real-life Count Dracula. Standing out the front of the supposed birthplace of Vlad Tepes, the real-life inspiration for Count Dracula. 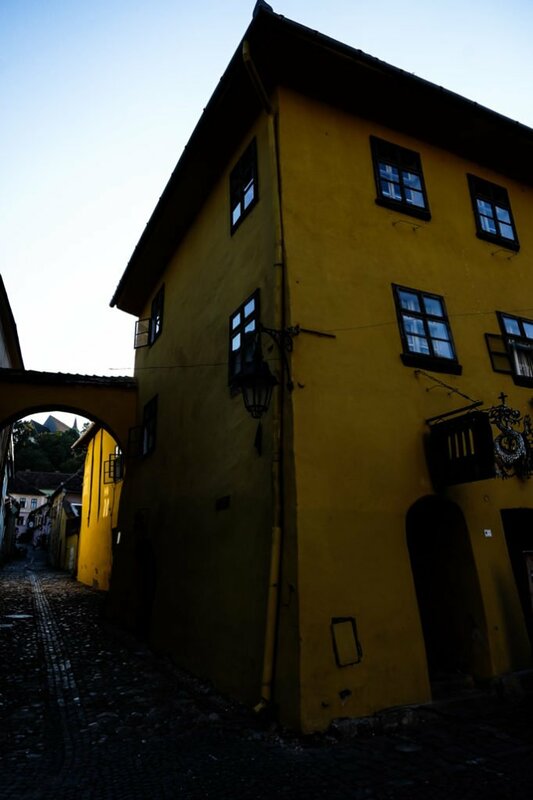 One of the main tourist attractions in town is a cute yellow building, known as the Casa Vlad Dracul. This is a restaurant/museum claimed to exist in the building that Vlad Tepes (Vlad the Impaler/real-life inspiration for Dracula) was born in 1431. Downstairs is a restaurant with vampire decorations adorning many of its walls and themed menu items. Upstairs can be accessed for a small fee. This includes two rooms decked out in kitschy Dracula-esque decor. Loud Halloween music greets those brave enough to enter. Each room has been blacked out, is laced in silk and illuminated by red light. There is even a coffin that guests are able to take photographs in. Looking up at the Birthplace of Vlad the Impaler. Vlad is certainly celebrated in town. Though, this may be to create appeal for tourists who expect to find such attractions in Transylvania. Posing in the room in which Vlad Tepes was born. 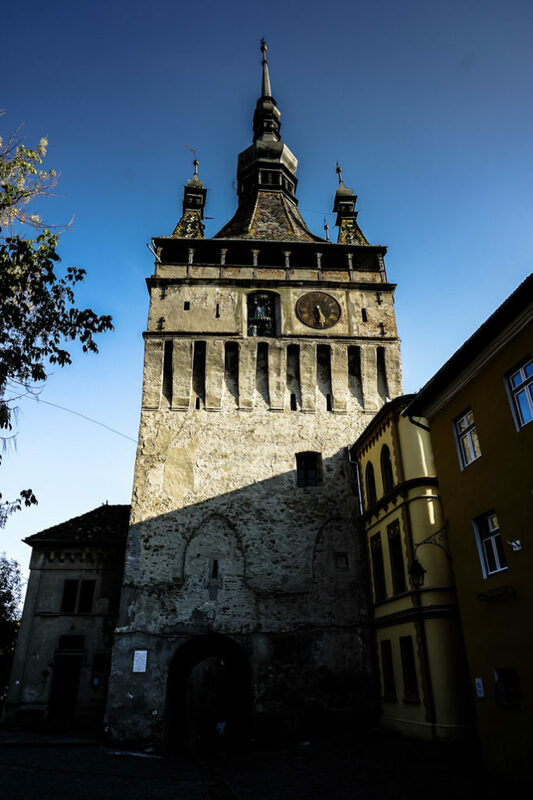 Just a couple of doors down from Dracula’s birthplace exists the Sighisoara Clock Tower, which has its own creepy stories to tell. This character filled tower was built towards the end of the 13th century. 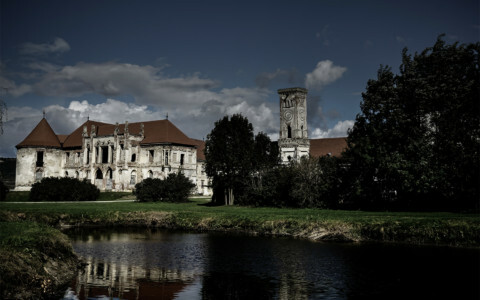 Though it has been built onto, partially destroyed and restored during its life. The old clock tower of Sighisoara. 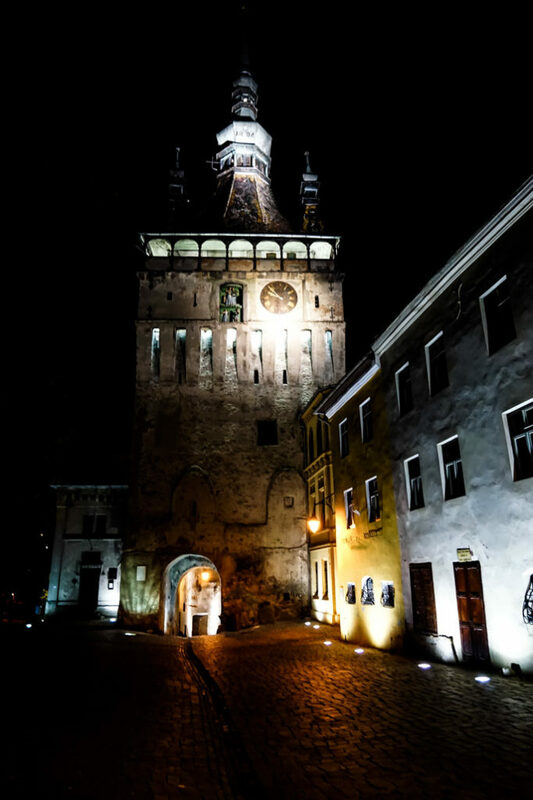 The clock tower was initially built to serve as a defensive fortification to protect the Sighisoara Citadel. To this day it still displays its arrow slits proudly. The clocktower has also served other dark purposes. Some of it was barred off and used as a prison during the 18th century and in more recent years it served as a torture device museum. Holding real torture devices. The haunted old clock tower at night. Another spooky location in Sighisoara is just around the corner from the Casa Vlad Dracul and clocktower, known as the Scholars’ Stairs. It is a covered wooden staircase consisting of 176 stairs. 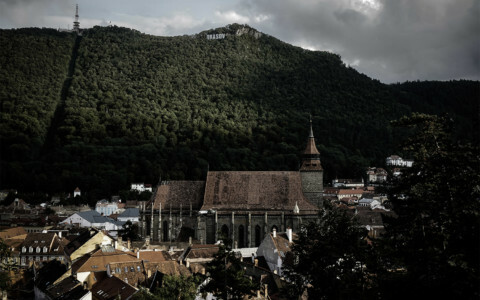 It ascends up to the highest point in Sighisoara and the popular attraction of the Church on the Hill and a sprawling, multi-level Transylvanian Cemetery. This staircase is definitely a creepy sight, made even creepier by the legends that it is haunted. Consequently, making for an interesting stroll in the dead of night. Wandering up the haunted Scholars’ Staircase of Sighisoara. Sighisoara should be visited by those who travel to Romania. It is a beautiful historical city that is both welcoming and peaceful. 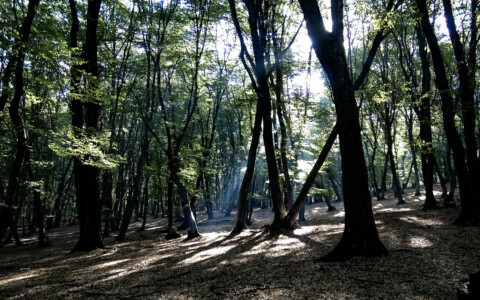 This place is a must-see for those on the trail of Vlad Tepes and although it is quite kitschy, it is also a lot of fun! I highly recommend the Burg Hostel, which will probably suit those traveling on a budget. There are frequent trains departing Brasov which stop at Sighisoara, the citadel, itself, a short 10-minute walk from the train station. Dining with Dracula – Sitting at the table in the home of Vlad Tepes. If you enjoyed this article and are interested in learning about other places in Romania with ties to Vlad Tepes, I highly recommend his actual castle, the Poenari Fortress.